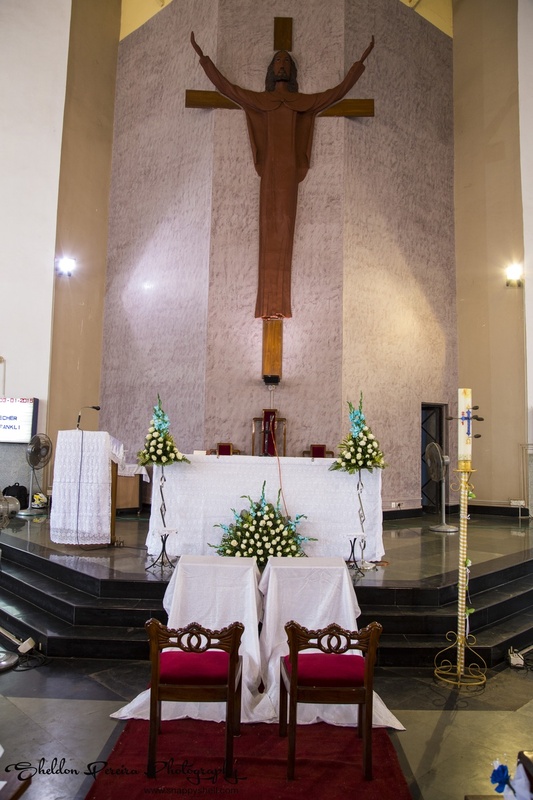 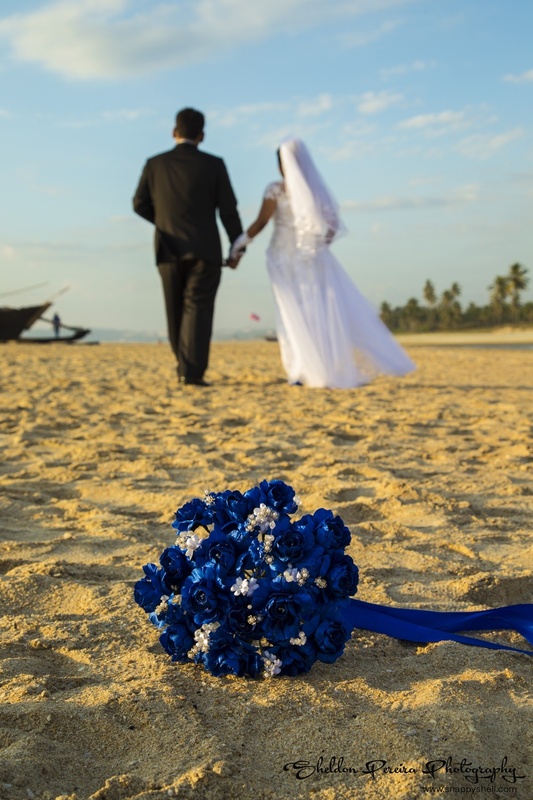 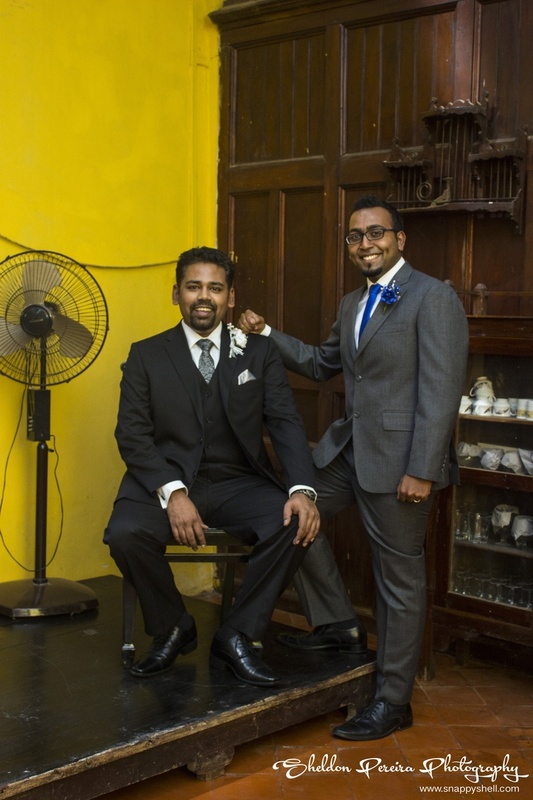 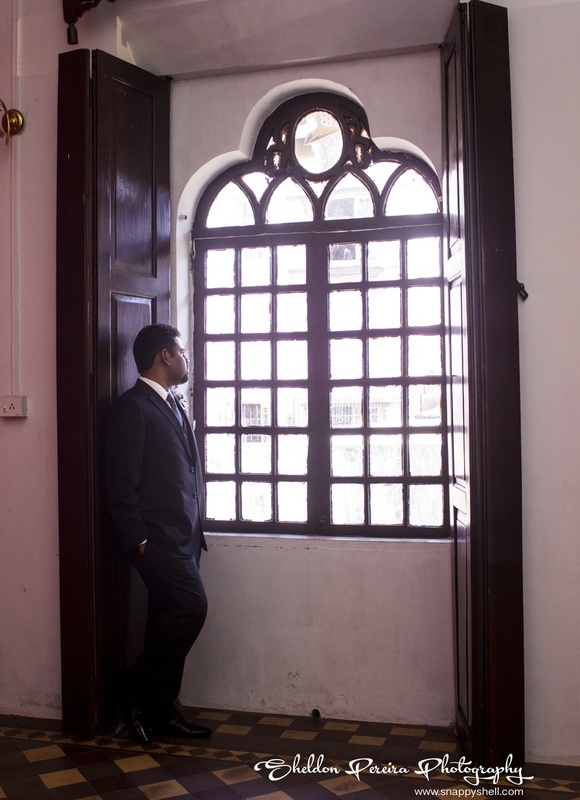 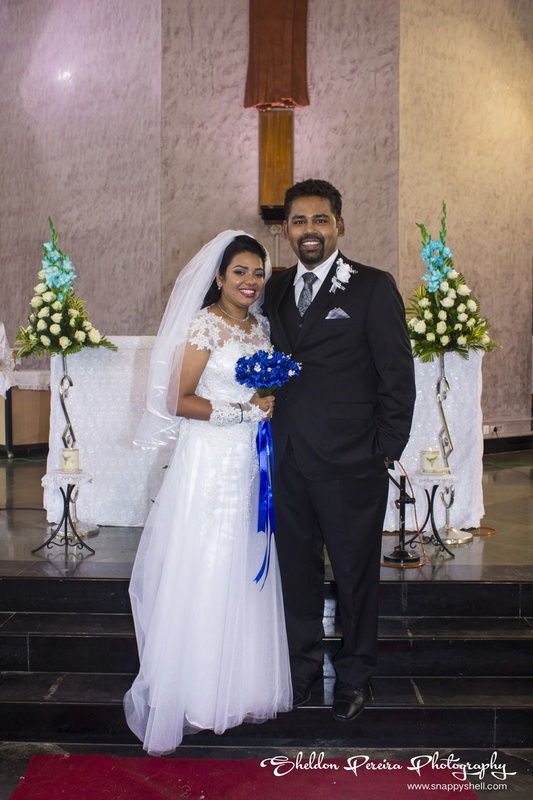 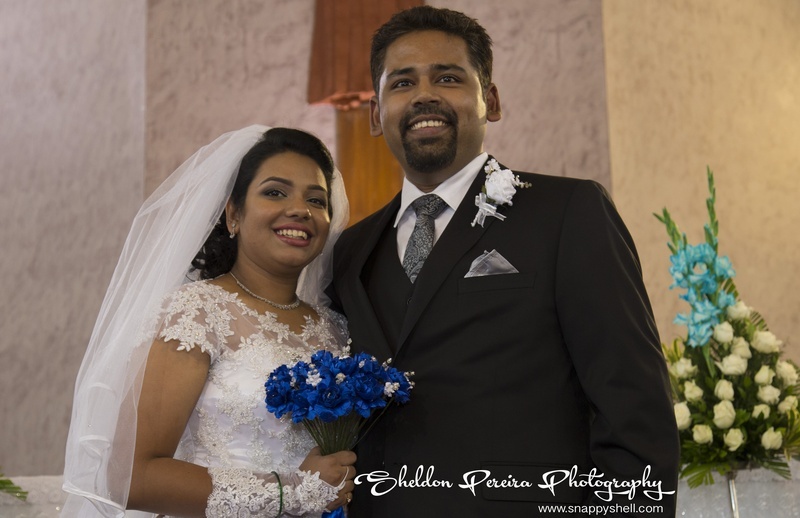 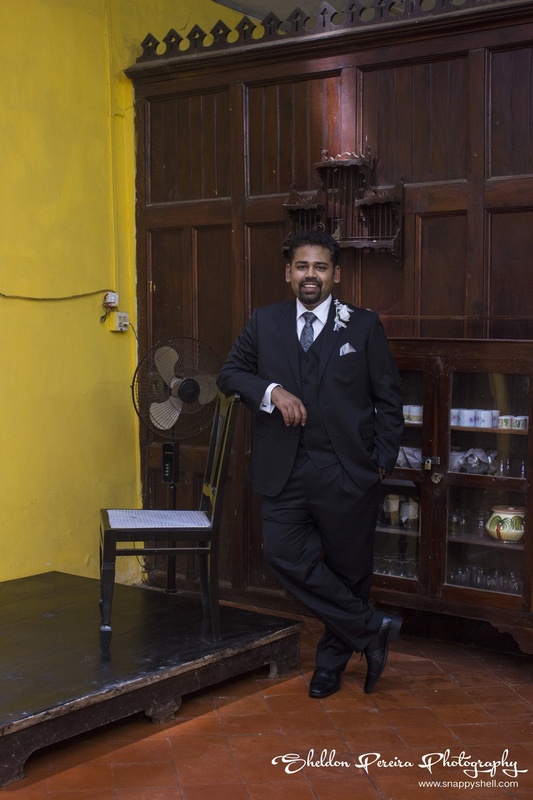 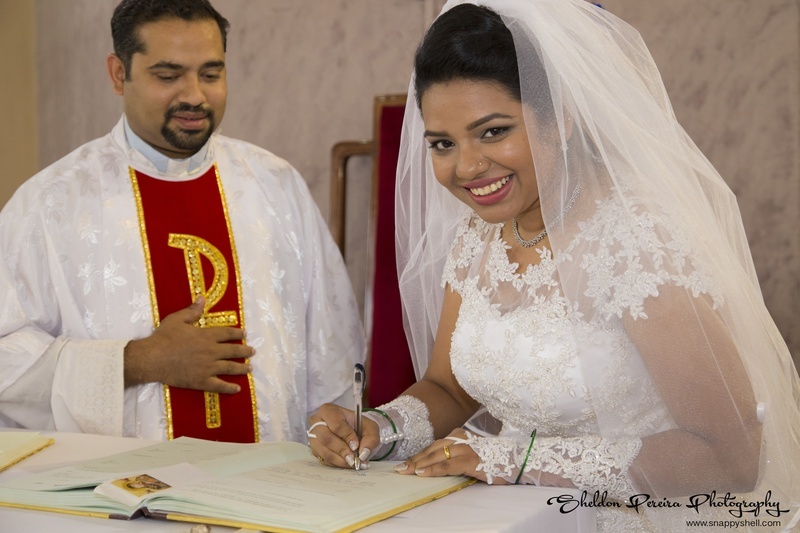 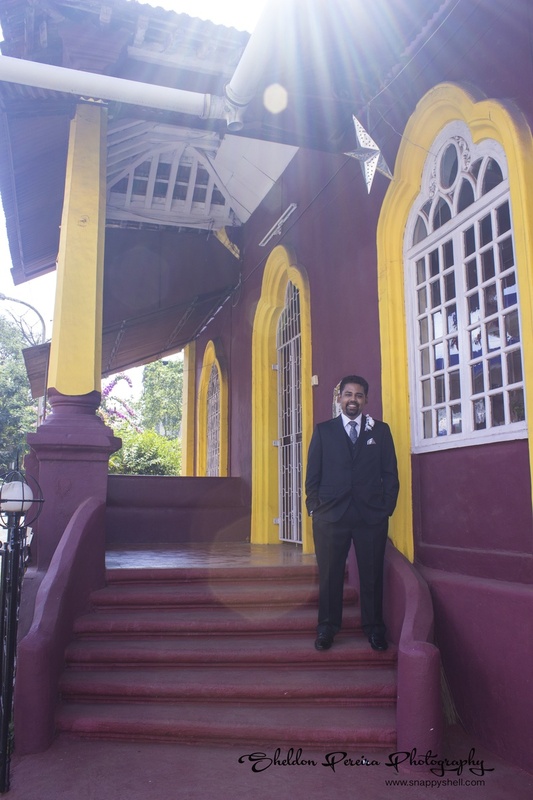 Sayalee quips that, “People think that bankers are boring but we wanted to prove them wrong through our wedding.” Their Catholic marriage ceremony took place at Holy Cross Church in Bambolim, Goa. 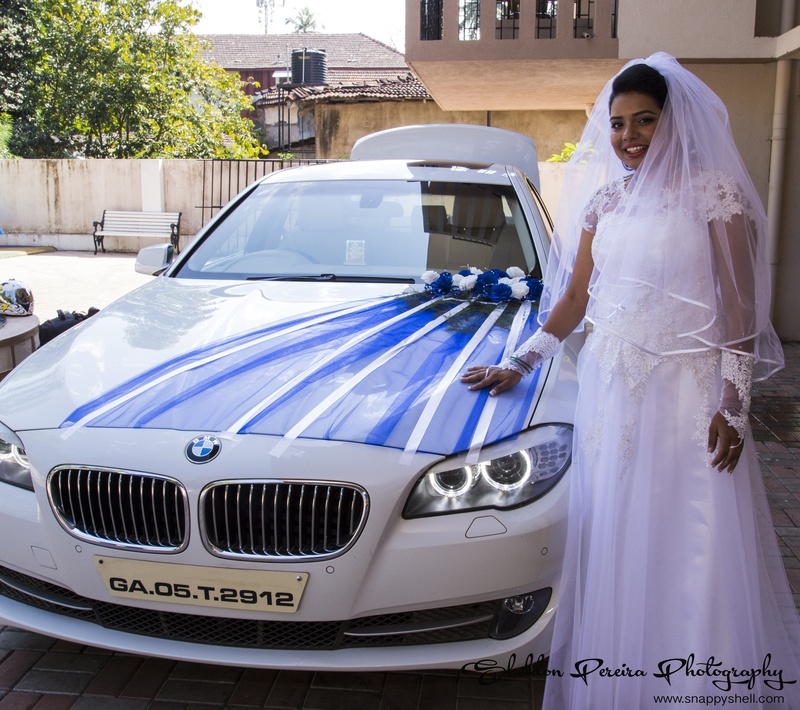 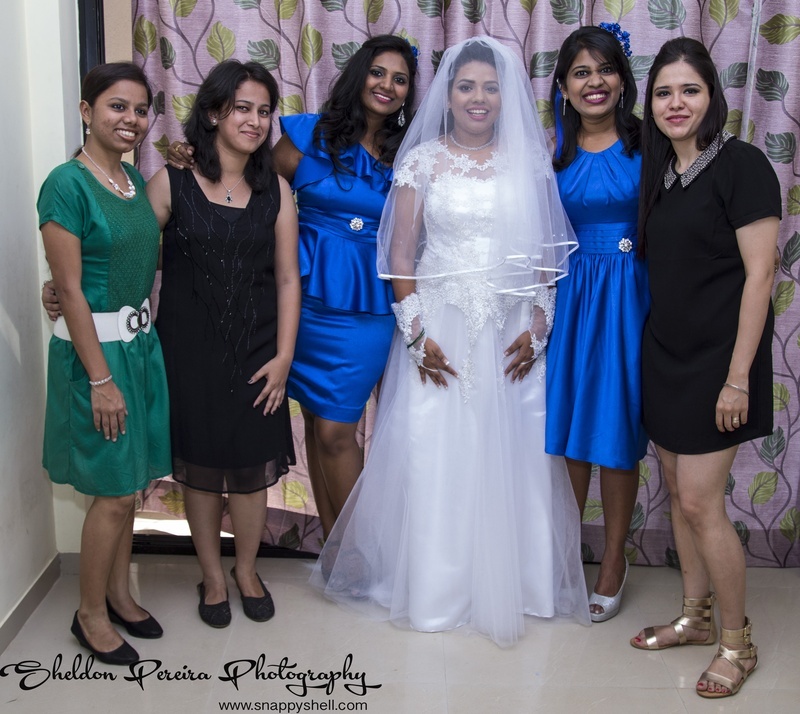 The bride’s wedding dress was custom made by Noreen Coelho from Bandra. 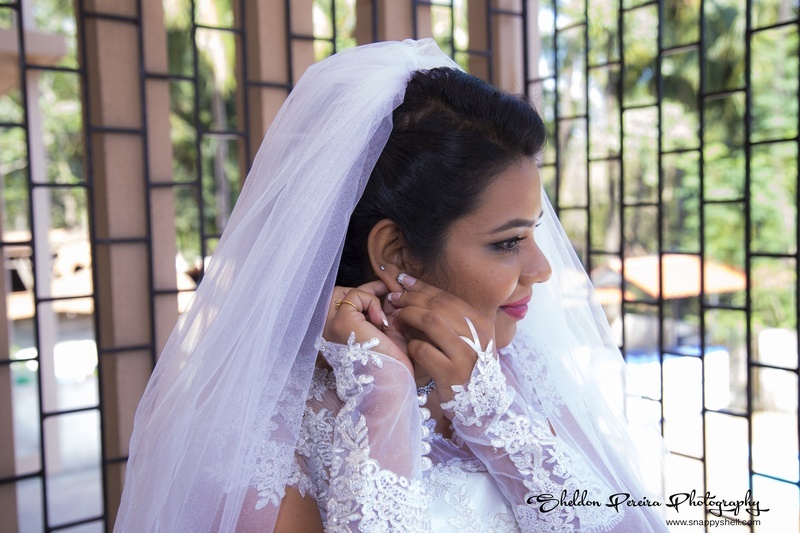 Her simple yet impressive white wedding gown had a sheer veil and amazing threadwork. 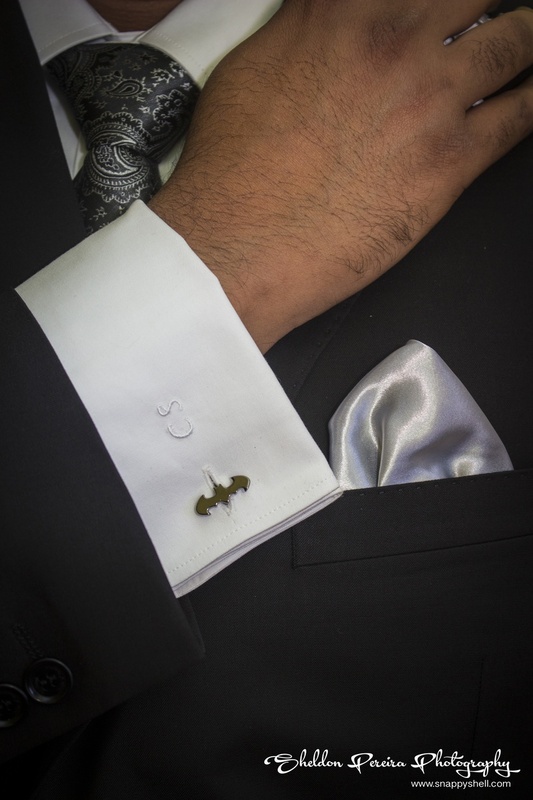 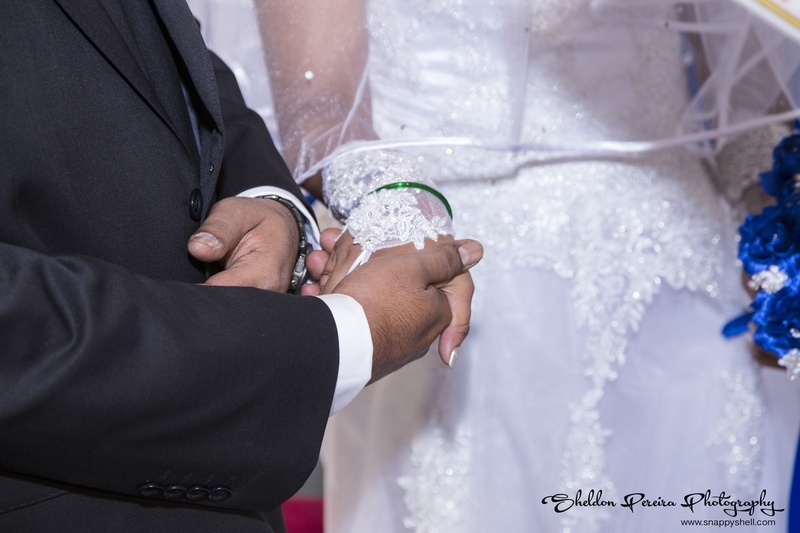 She also added a touch of traditional by wearing green bangles on her white gloves, while Craig wore a classy black wedding blazer was from Raymonds adorning a boutonniere that had a white rose. 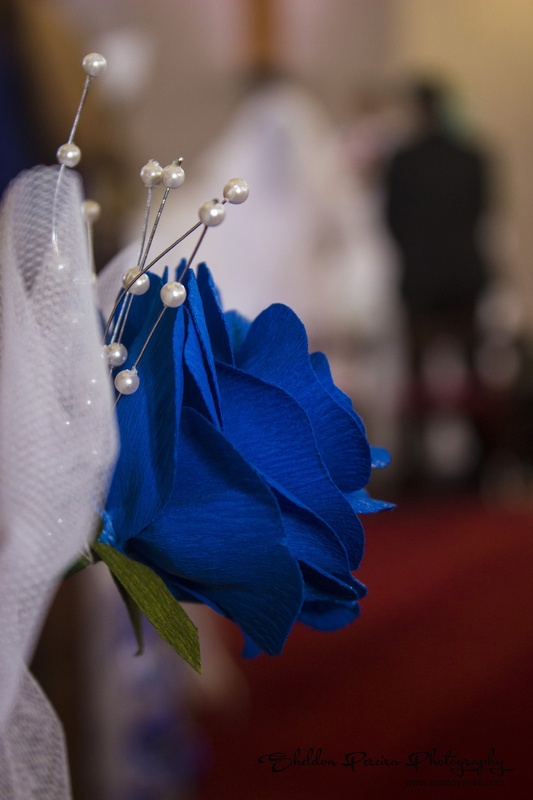 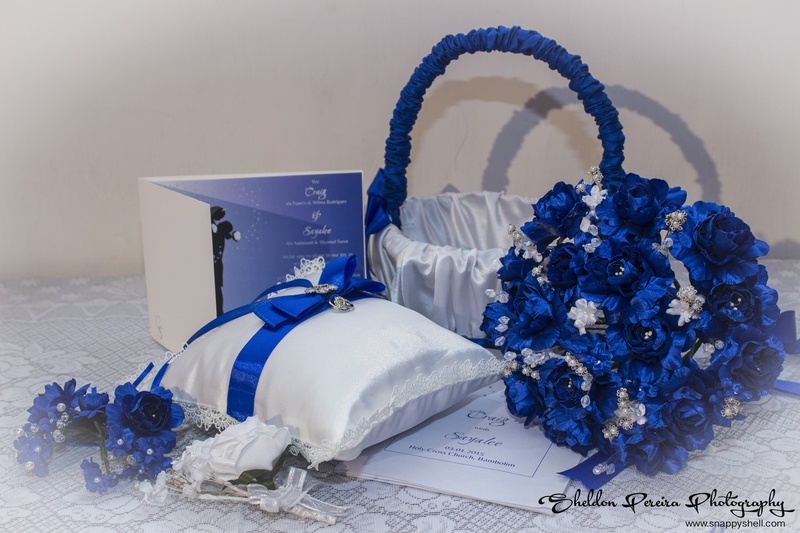 Catching the first glimpse of the royal blue theme was the flower bouquet in Sayalee’s hand wrapped up in an appealing ribbon. 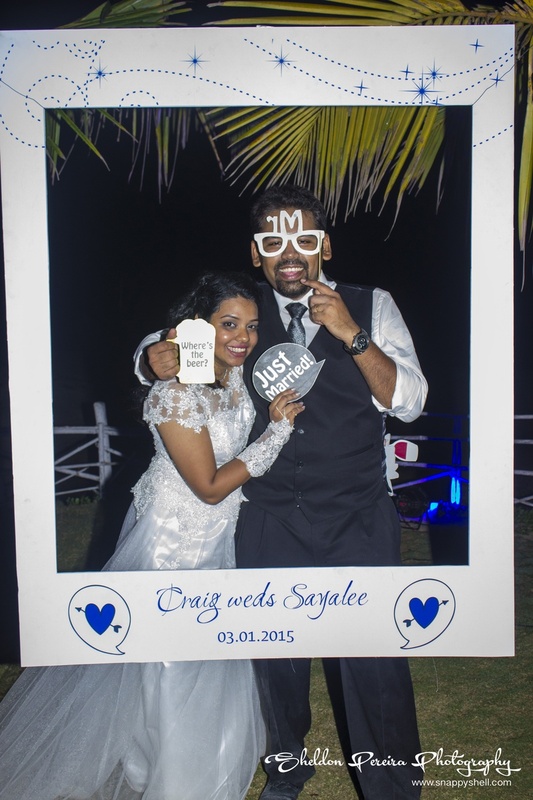 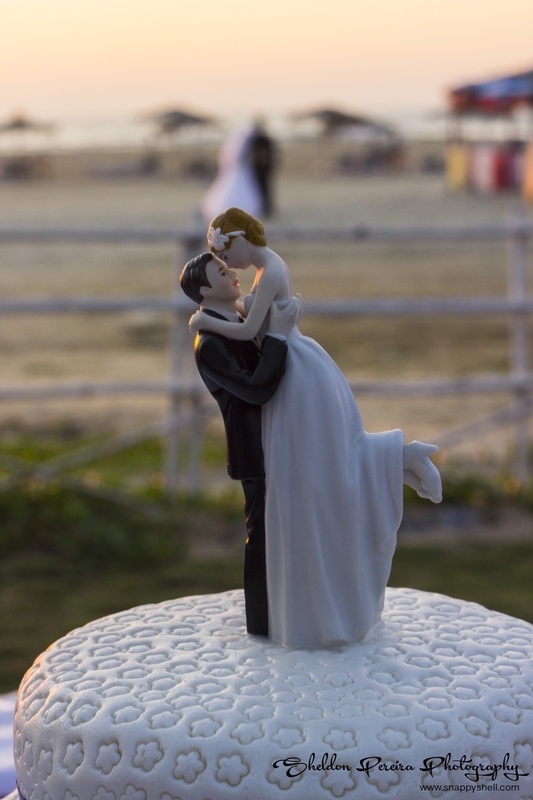 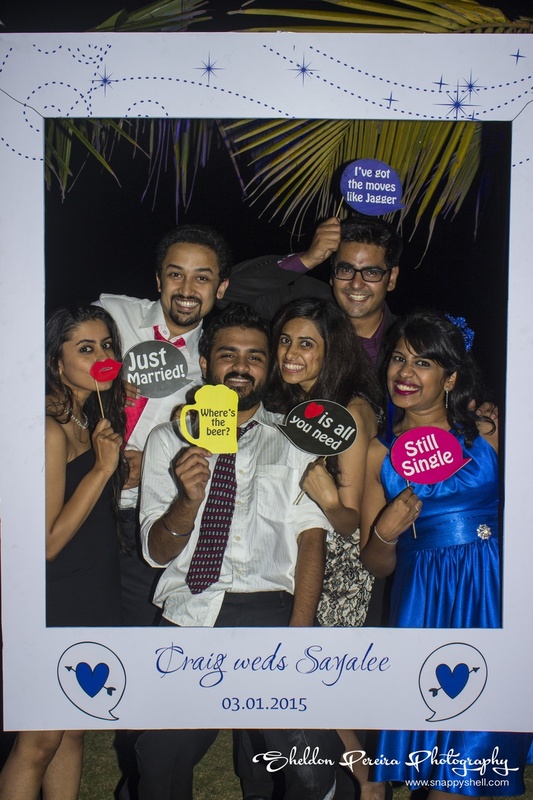 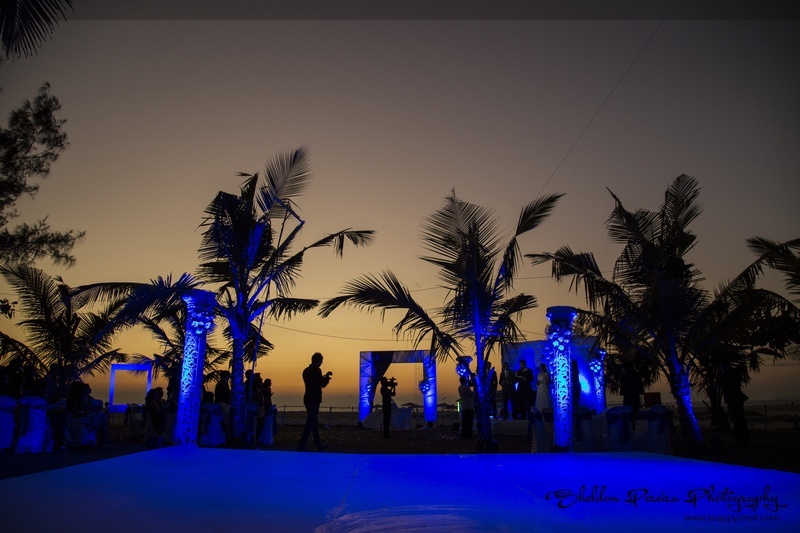 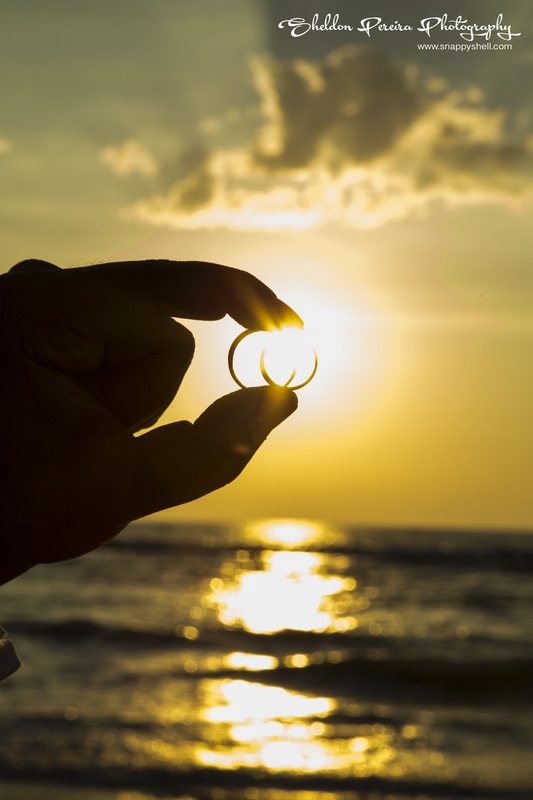 After exchanging vows of love, it was party time for the wedding couple in the party capital of India - Goa! 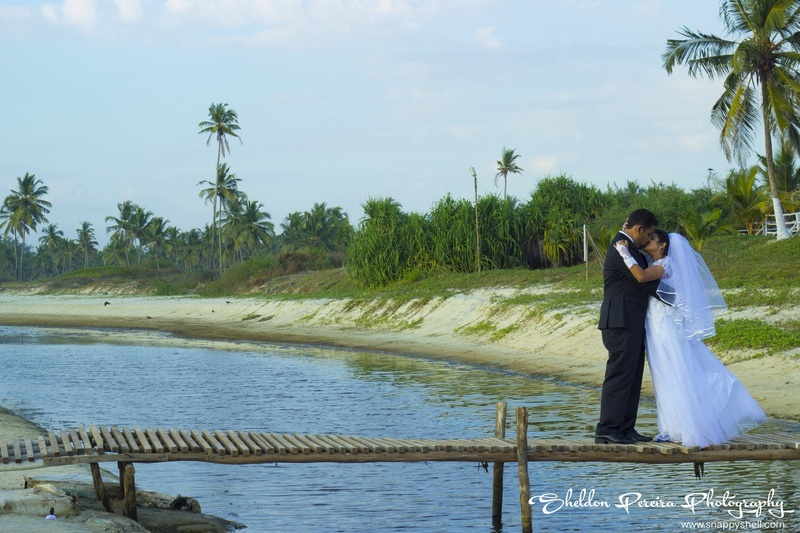 They also had a picturesque outdoor photography session that was shot by Sheldon Pereira from Snappyshell Photography. 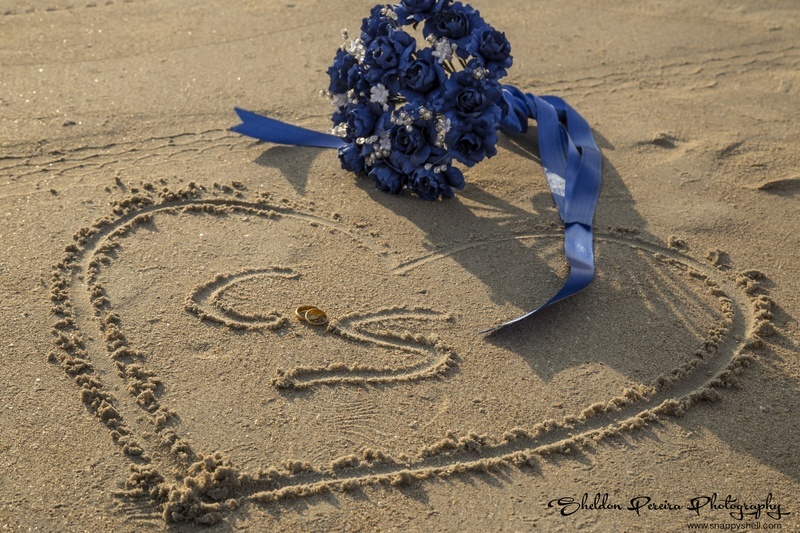 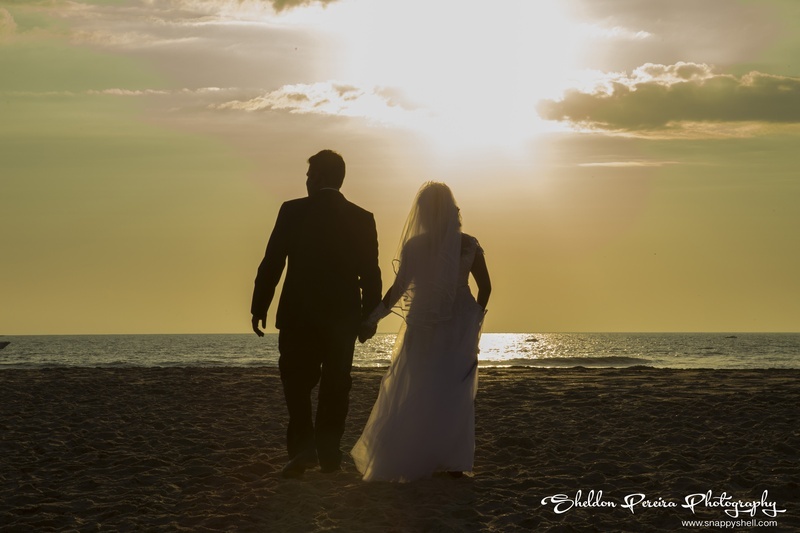 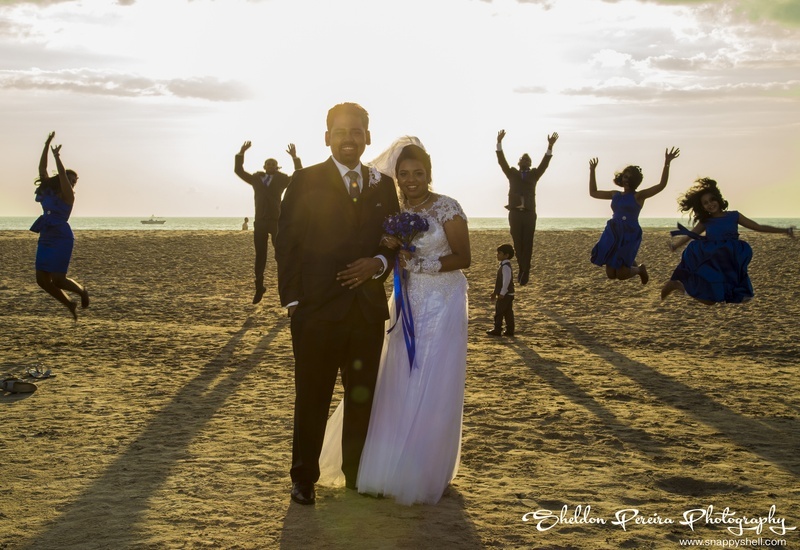 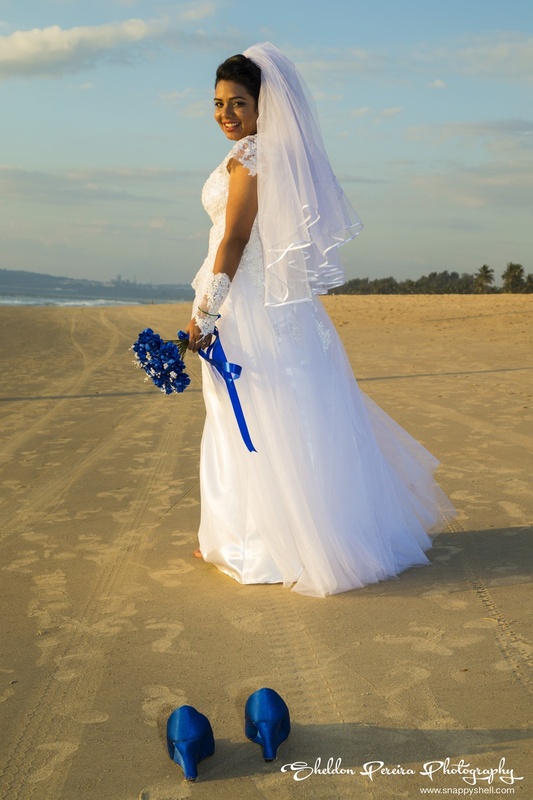 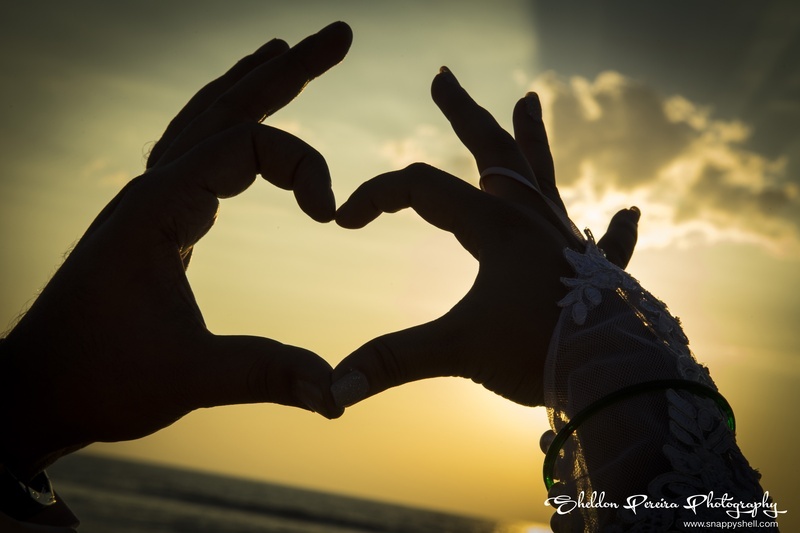 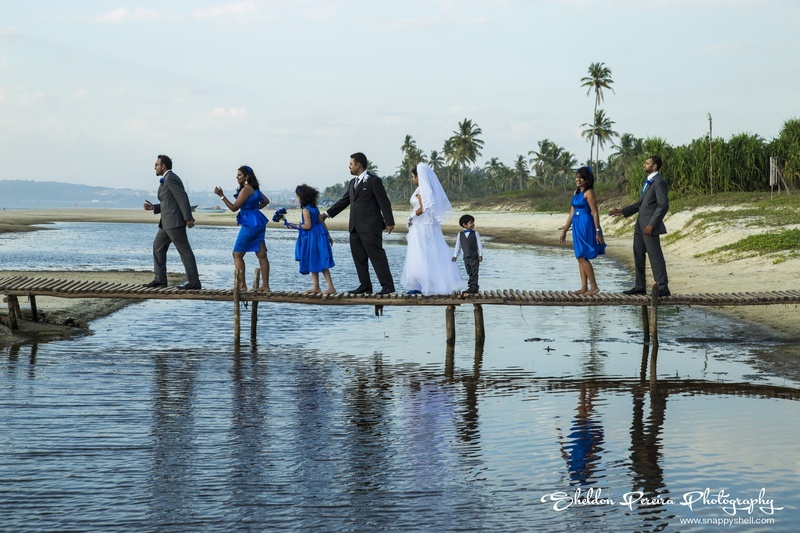 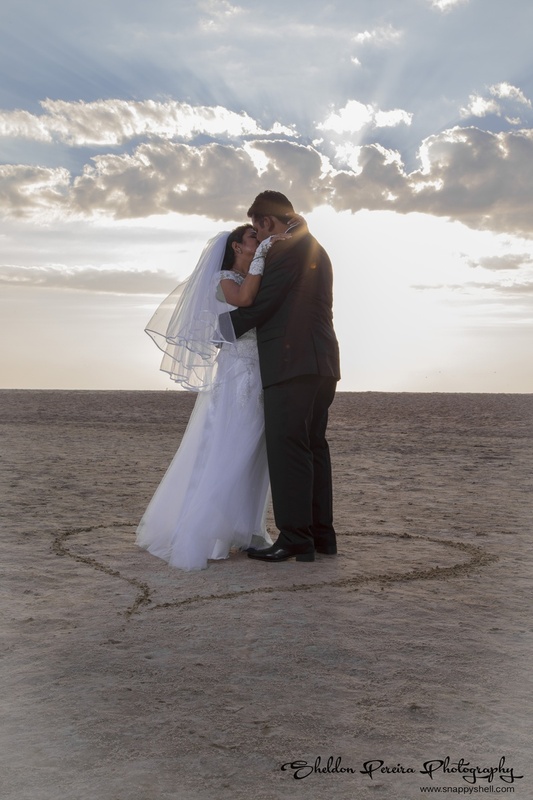 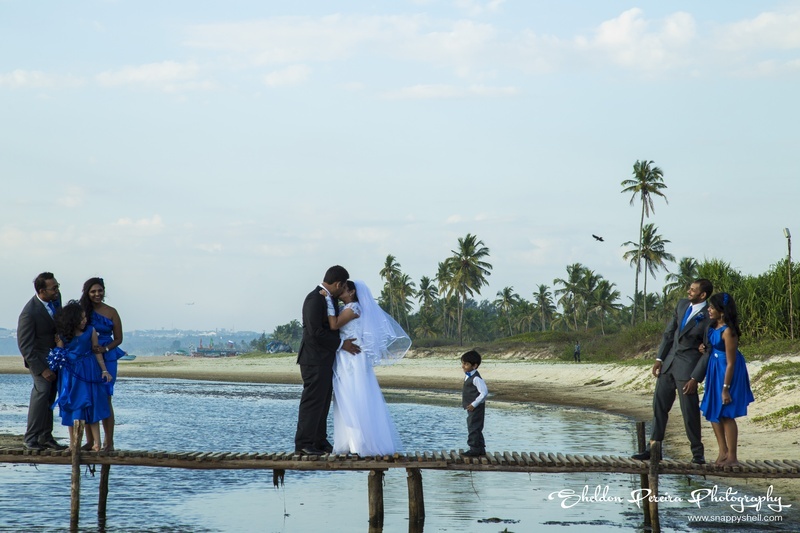 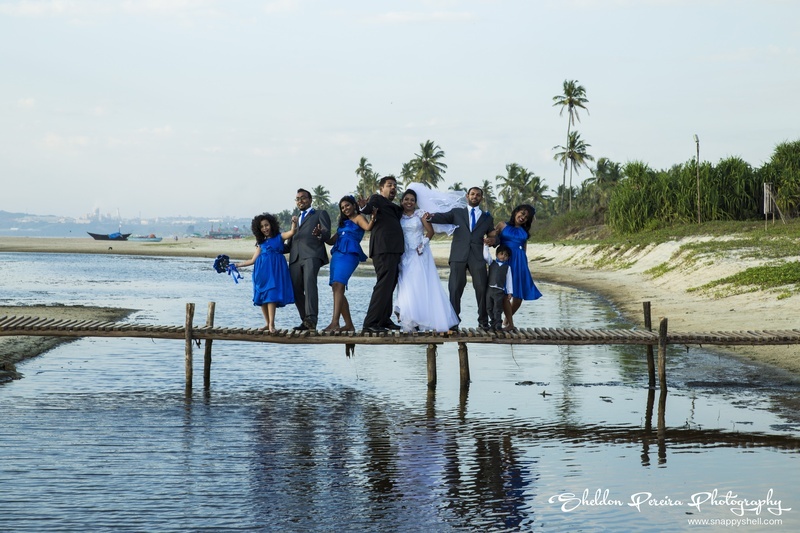 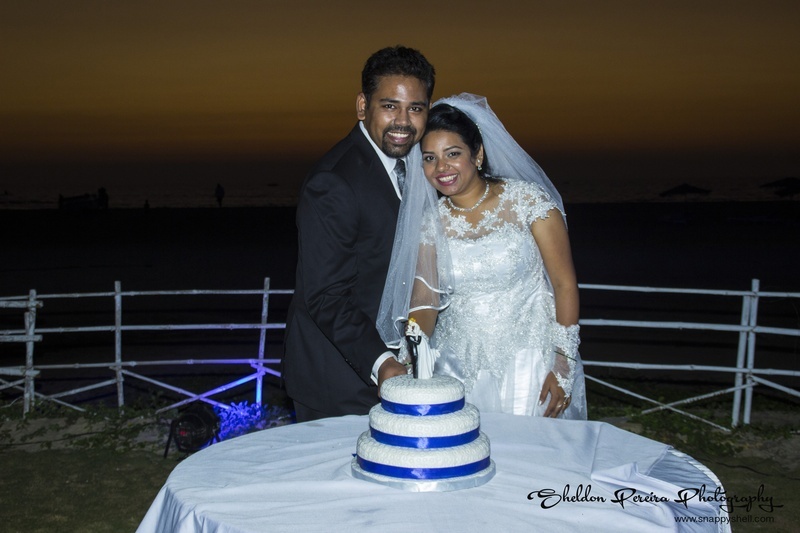 He captured magical and candid moments like the couple kissing under the blue sky on a log bridge, a romantic heart shaped sand art with initials of the newlyweds and a walk that signified the new beginning of Craig and Sayalee’s life. 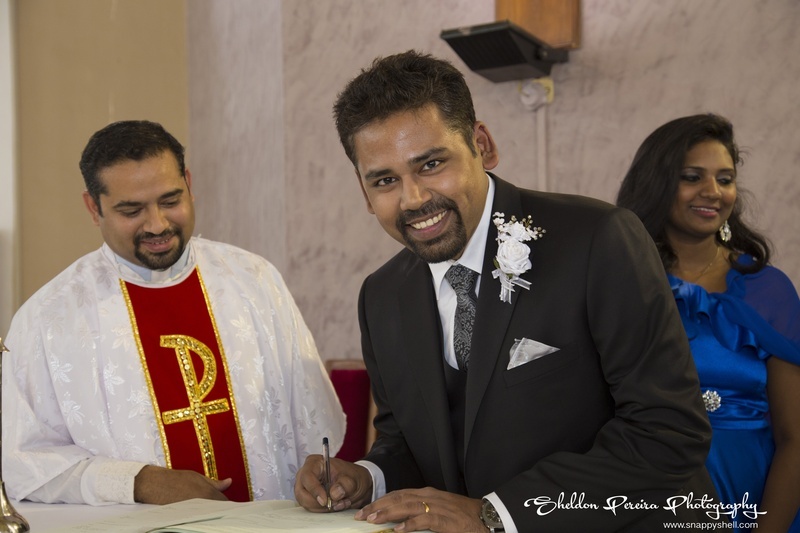 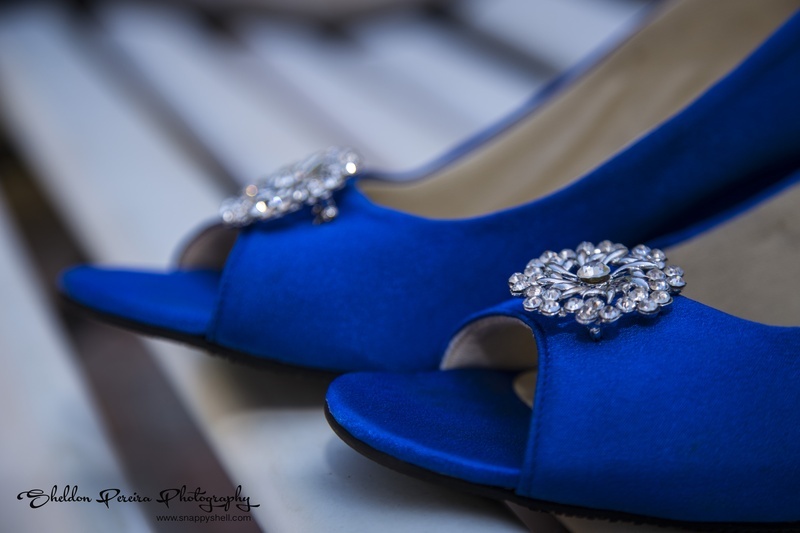 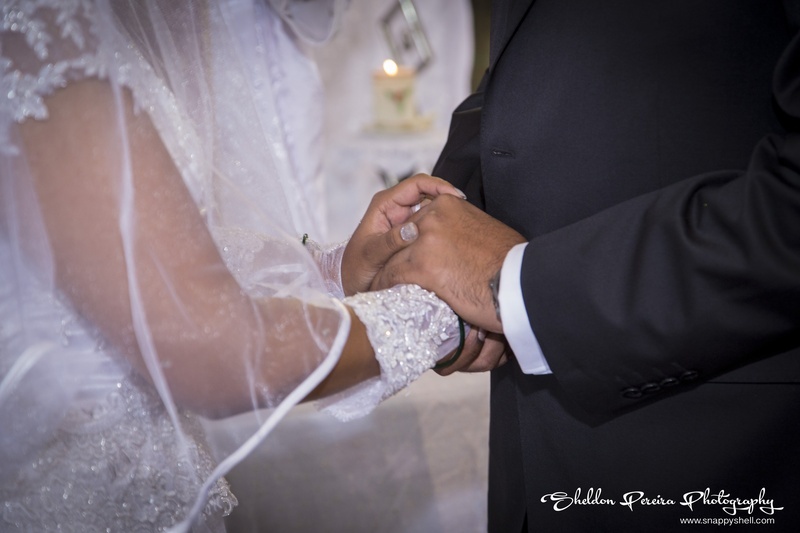 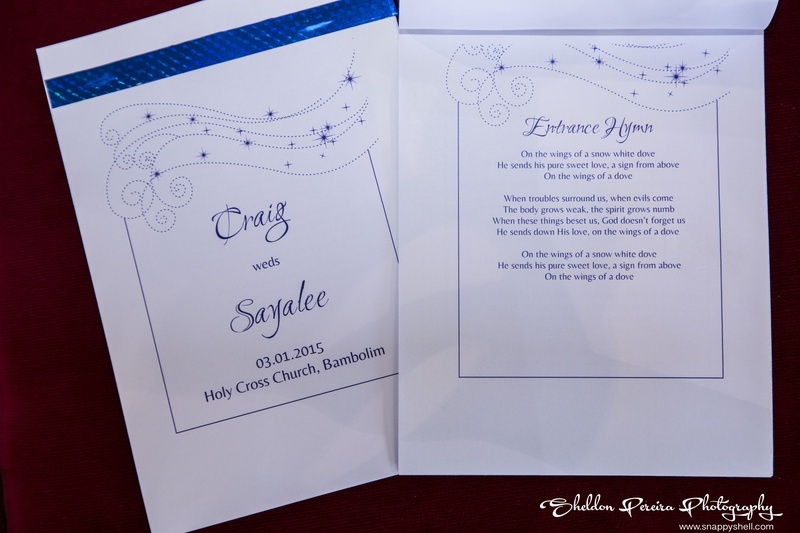 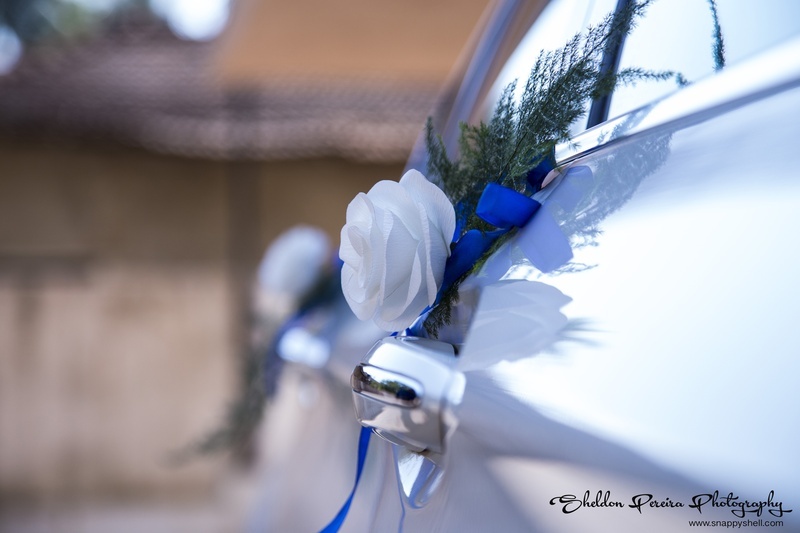 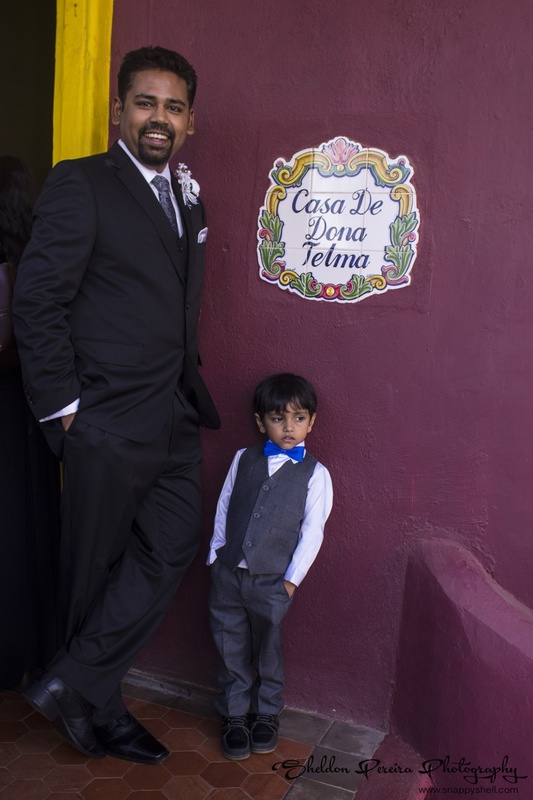 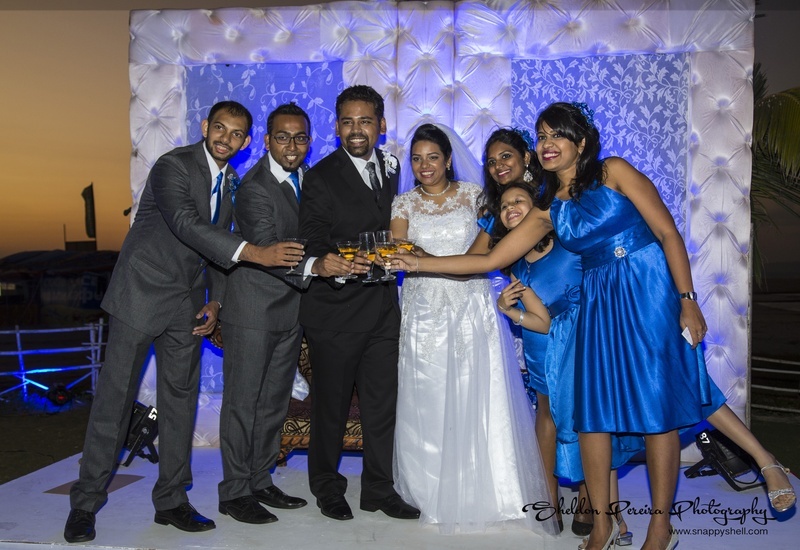 Here are a few images from this fun filled Catholic wedding.